Red wine is served at room temperature, preferably between 65 and 70 degrees. 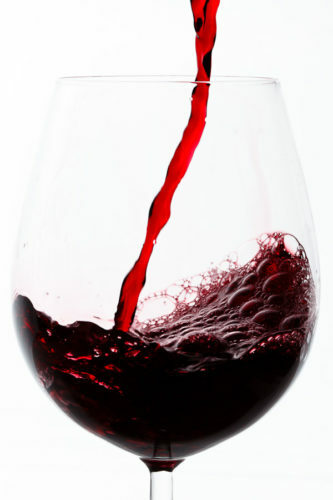 Most people claim that red wine is their favorite wine out of the various types, which might be because of its not too sweet, but not too bitter flavor. Americans started producing red wine to compete with Europe in the 1800s, after Spanish wine arrived to the country in the 1500s and 1600s. In this era, water was not safe to drink, so individuals sipped on fermented beverages. Now we enjoy wine with our meals and our friends. This National Wine Day, visit Coastal Kitchen to enjoy our red wine menu! We have an Oyster Bay Pinot Noir that is aromatic, bright, and juicy with a velvet finish. We also offer a Cabernet from Australia’s Limestone Coast, which is dark, fruity, and balanced with French Oak. The Skyfall Merlot we serve is from Colombia Valley, Washington, and has plum, vanilla, leather, and cocoa notes. The Chateau Maris Natural Selection Syrah-Grenache Red Wine Blend is organic, biodynamic, bottled in recycled bottles and labels, and is natural and sustainable. Finally, consider our Broquel Malbec from Mendoza, Argentina. This red wine is our farthest from the sea offering, tasting of rich fruit, mountain flowers, and a sophisticated touch of smoke. Spend National Wine Day with us at Coastal Kitchen. This August 28, join us at 12 East Main Street in Bay Shore. We hope to see you here!